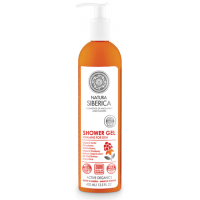 Natura Siberica Oblepikha Shower Gel Energizing Freshness helps you to start your day with an awakening aroma of fresh Siberian herbs. 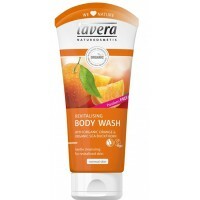 Invigorating shower gel tones and makes your skin feel clean and fresh. Fortifying gel formula energizes and gives an elevated mood for the whole day. How to use: Apply a small amount of gel onto a sponge and gently massage into damp skin. Rinse thoroughly with warm water.